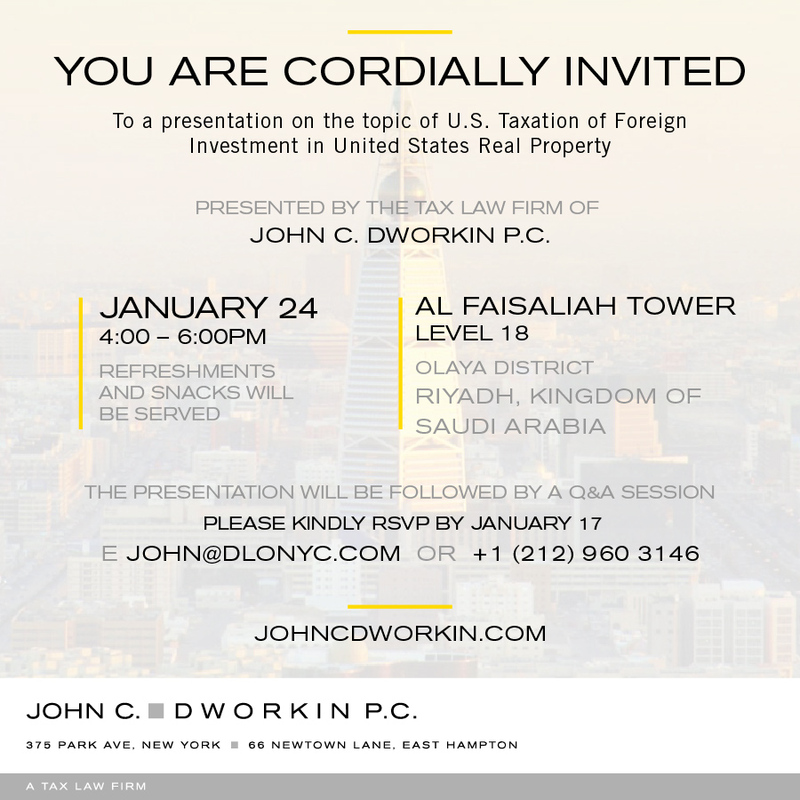 Represented a Kingdom of Saudi Arabia private asset management company in connection with tax structuring for their U.S. commercial property investments. 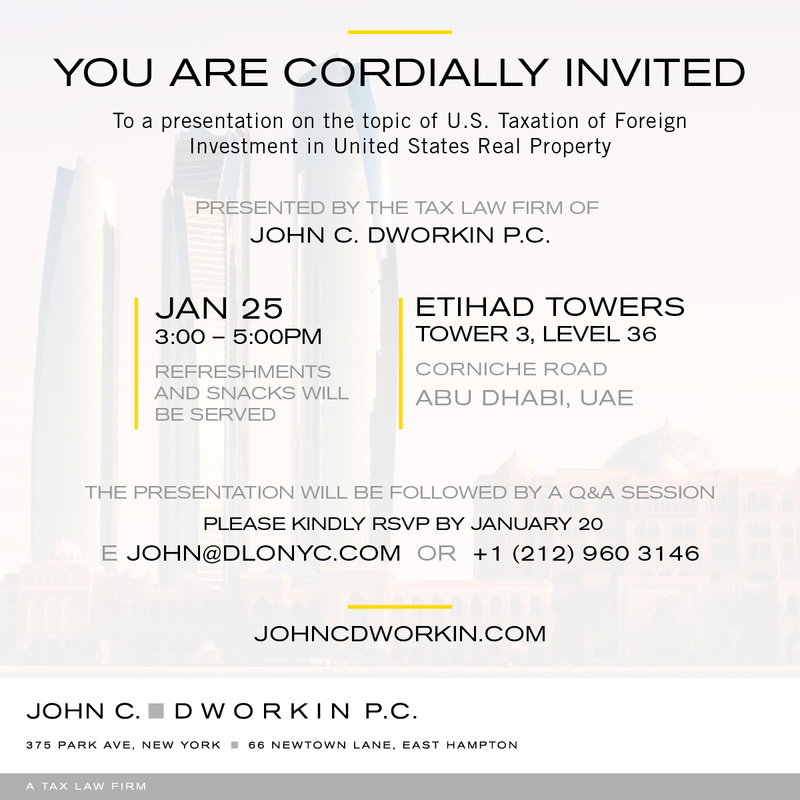 Represented a UAE publicly-held company in connection with tax structuring for investments made in U.S. real property under FIRPTA. Represented a New York City-based real estate developer in connection with tax structuring of foreign investment in New York commercial real estate and development projects including office and hotel properties. Represented a Moscow-based diversified holding company in corporate tax structuring for their U.S. commercial real estate investments and offshore U.S. real estate fund formation. Represented a U.S.- based registered investment advisor in connection with tax structuring for a joint venture with a China (PRC) private real estate investment fund to acquire U.S. real property assets utilizing leveraged blocker structures. 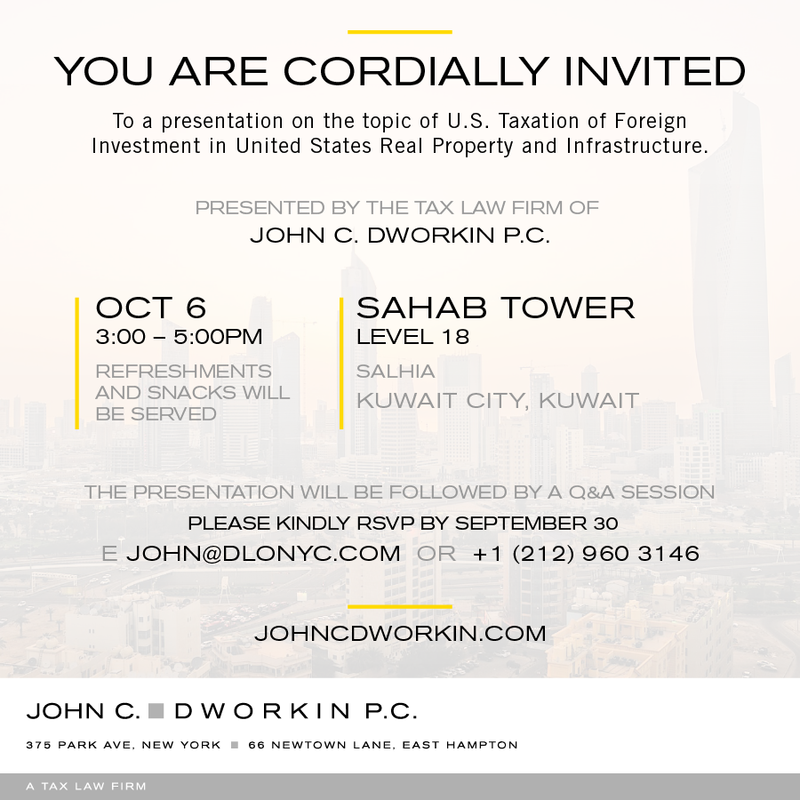 Represented a Kuwait diversified real estate company in connection with tax structuring for the acquisition of U.S. triple net-leased commercial property. Represented a U.S.- based real estate investment fund with foreign investors participating in the construction of a Class A office building in New York City. In making this investment, the firm developed and implemented a tax efficient strategy through the use of parallel offshore finance and equity subsidiaries. 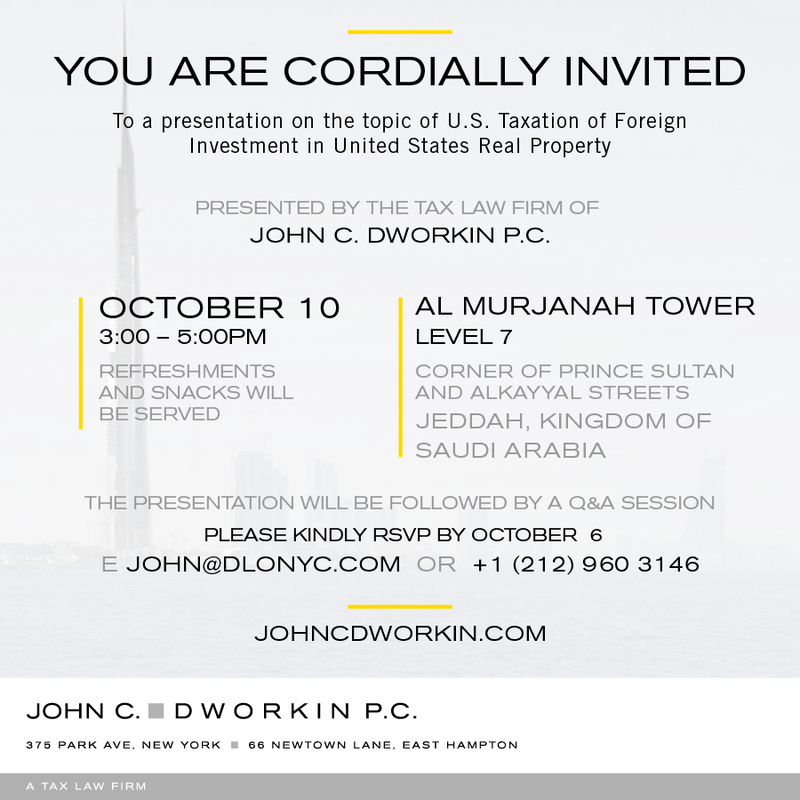 Represented a Kuwait publicly-held real estate company acquiring U.S. real property through the use of offshore finance and equity subsidiaries. 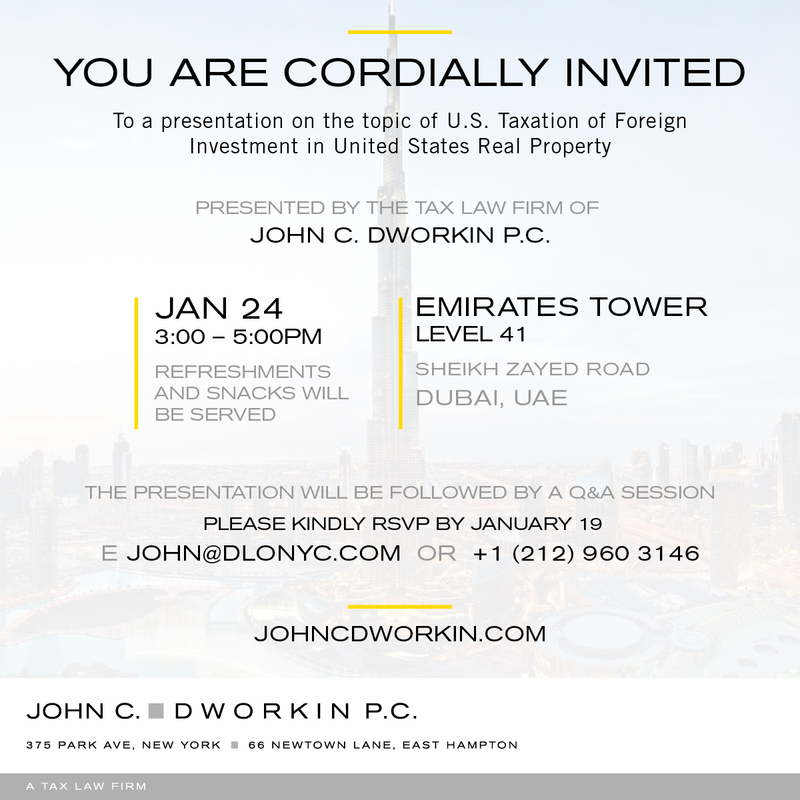 Represented UAE ultra-high net worth individuals making direct portfolio investments in U.S. real estate utilizing two-tiered leveraged blocker structures. 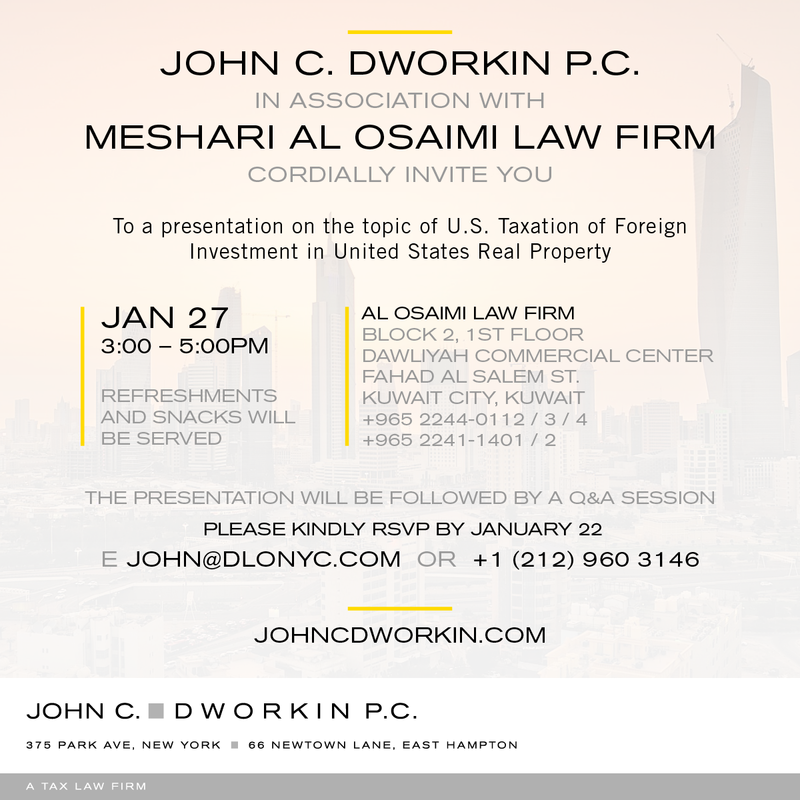 Represented a Gulf-based investor in connection with investments made in pooled investment vehicles such U.S. real estate, private equity and hedge funds. Represented foreign persons and government agencies with respect to their investments in U.S. private REITs. Represented German investors purchasing income producing residential real estate located in the State of New York. Represented foreign tax-exempt organizations with respect to their investments in U.S. real estate and infrastructure assets. 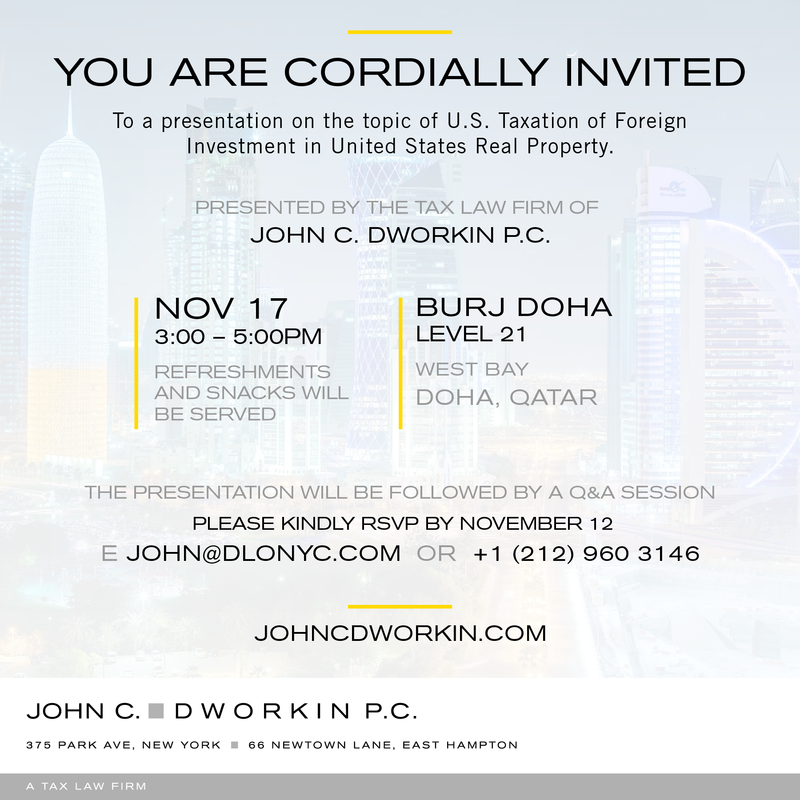 Represented a Gulf-based investment fund sponsor in the formation of a tax structure for direct portfolio investment in U.S. real estate intended to qualify under the “portfolio interest” exemption from U.S. withholding tax. Represented a U.S. based real estate investment fund with respect to FATCA registration under the sponsored entity regulations.